M5 Hosting is a leader in the San Diego tech scene. 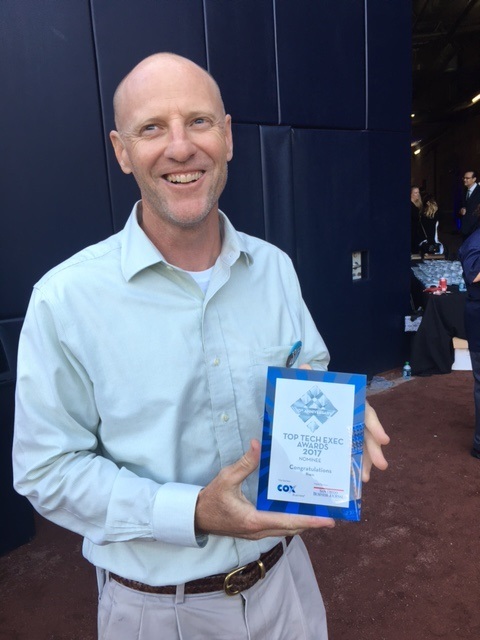 For the second year in a row, M5 Hosting was recognized as a Nominee in the Top Tech Execs Award Ceremony on the playing field at Petco Park. This year it was Jimmy Richardson being recognized for his role as Director of Operations. Jimmy has years of experience in this role and this, plus his years of professional race sailing has given him the knowledge and team skills to help elevated M5 Hosting to the next level. Because of how M5 cares for each client, embraces technology and works as a team with great leadership from the top down, M5 has sustained continuous growth, year over year. In 2017 M5 is adding a new data center in Germany.